Actavis is a unique specialty pharmaceutical company focused on developing, manufacturing and commercializing high quality affordable generic and innovative branded pharmaceutical products for patients around the world. 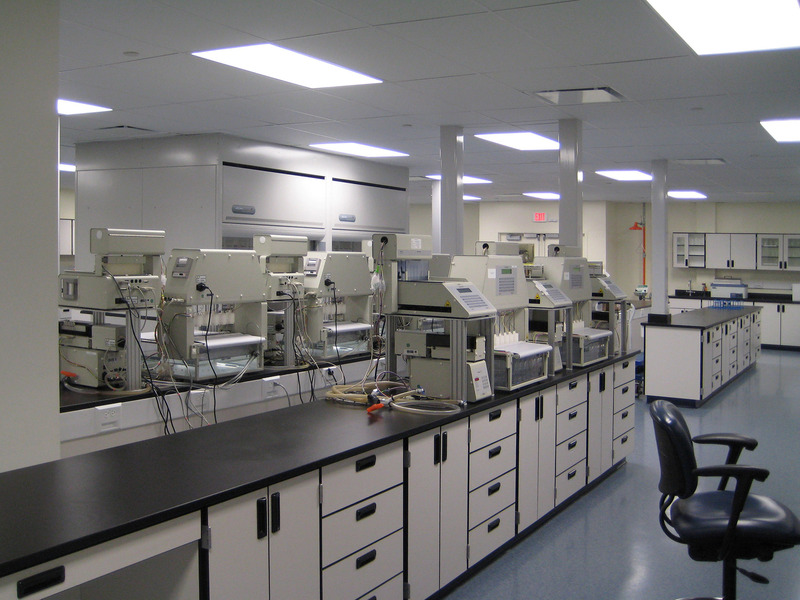 Beck’s design and construction teams transformed a warehouse into an oral solid dose pharmaceutical development facility. The project entailed value engineering to work within a target cost while maintaining compliance with stringent FDA guidelines. Beck’s design included an 800 amp electrical service upgrade, with HVAC systems designed to maintain a constant temperature and humidity level. Planning, including the visualization of how people and processes would flow through the space, was crucial to success. Precise design and coordination of trades enabled overhead utilities to terminate inside casework exactly where they were needed for benchtop and floor equipment.